The alarm feature is designed to help you locate your child when nearby in a crowd, indoors, or hiding. 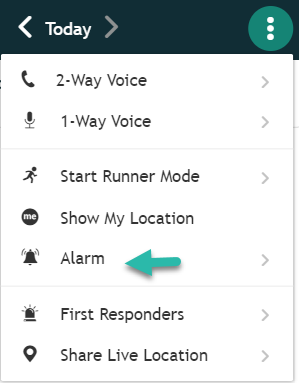 Go to the Menu on the upper right hand side and then click on Alarm. 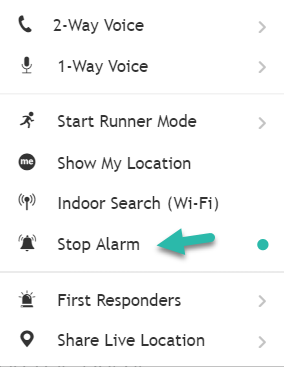 Upon selecting the alarm, the tone selected will play on the device for the set duration or until you disable it by clicking on "Stop Alarm".